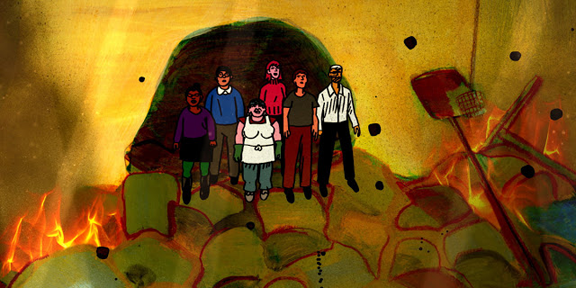 GKIDS Films brings independent American animation My Entire Highschool Sinking Into The Sea to cinemas this spring. The feature debut from cult comic artist Dash Shaw is a cross between a disaster movie and highschool comedy that features an all-star cast including Jason Schwartzman, Lena Dunham and Reggie Watts. It opens this weekend in New York, LA and Toronto before opening wider starting April 21. We'll have a review soon, but in the meantime you can check out the full list of screenings below. Additional screenings may be added in the coming weeks.